Wow! 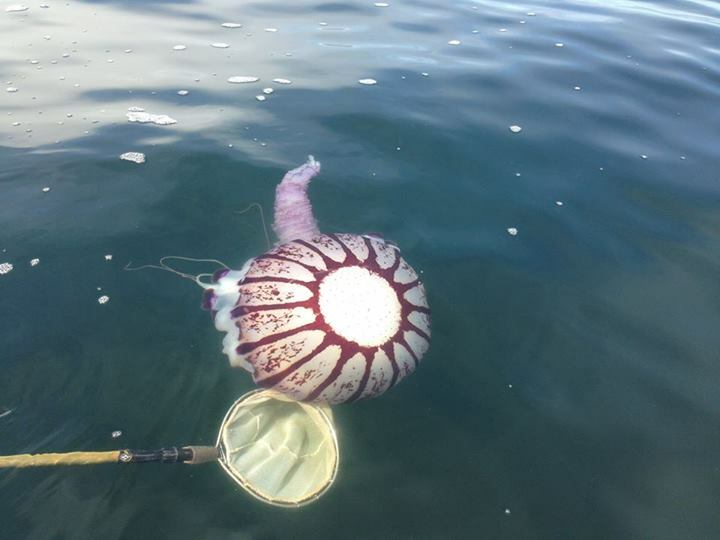 Look what jellies aquarists Wyatt Patry and Laura Tocki-Toggenburger came across this week: the largest purple stripe jelly they’d ever seen intact–about one meter across. Huge purple striped jelly roughly 1 meter (>3 feet) wide!